The financial industry has reacted to the general public's decision to vote in favour of the UK leaving the European Union. The total count finished as 16,141,241 in favour of Remain while 17,410,742 voted to Leave. During the night, the value of sterling against the dollar also fell dramatically but began to recover this morning, while earlier today Prime Minister David Cameron announced he would be standing down as leader by the time of the Conservative Party Conference in October. The Financial Conduct Authority (FCA) has already warned that the vote will have significant implications for the UK, but it reassured firms that it was working closely with the Bank of England to monitor developments in the financial markets. “Much financial regulation currently applicable in the UK derives from EU legislation,” stated the FCA. “This regulation will remain applicable until any changes are made, which will be a matter for government and Parliament. The Bank of England admitted that there would inevitably be a period of uncertainty and it would take some time for the UK to establish a new relationship with Europe and the rest of the world. “But we are well prepared for this. “The Treasury and the Bank of England have engaged in extensive contingency planning and the Chancellor and I [Mark Carney] have been in close contact, including through the night and this morning. Benson Hersch, CEO of the Association of Short Term Lenders, felt that the result was a protest vote against the establishment by those who felt disenfranchised and left out. “Economically, whatever the truth of the pre-vote alarmism, there will be a prolonged period of uncertainty ahead. Simon Checkley, Managing Director of mortgage broker Private Finance, said it was a momentous day in British history. “The public vote in favour of leaving the EU has come as a fair shock to many people and has already sent some unwelcome ripples of fear and trepidation through our financial markets. Meanwhile, Richard Donnell, Insight Director at Hometrack, concluded by warning that the decision to leave meant the housing market now looked very uncertain. “The decision to leave the EU will be most keenly felt in the London housing market, which is fully valued and already facing headwinds. “History shows that external shocks can reduce sales volumes by as much as 20% with sales volumes already down over the last year. Jonathan Sealey, CEO of Hope Capital, said the government must act swiftly during this period of reassessment in order to bring as much certainty and stability back to the economy. “This is unchartered territory so it is very difficult to know what the full ramifications will be but we must remember that the property market has proved to be incredibly resilient in recent years. "Once things start to settle down, it is likely that the market will pick up again later in the year because lenders will always need to lend and consumers will still want to move home." Christain Faes, Co-founder and CEO at LendInvest, eased fears adding: "Where there are shocks, there are opportunities too. "Brexit may provide an opening for the UK housing market to cool and reset in areas where rising houses prices are stifling buying power. "However we are firmly of the view that downward momentum will be offset by a much weaker pound, prompting overseas interest in property again." Mark Posniak, Managing Director of Dragonfly Property Finance, said how the Bank of England, the government, the financial markets and economy react would be crucial to how the property market performs. "In the days and weeks ahead, banks and every other type of lender will be monitoring events forensically. Mark Harris, Chief Executive of SPF Private Clients added: “What is clear is that we now need to get on with it. 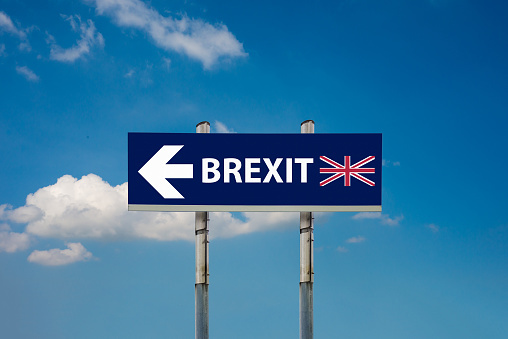 Paul Goodman, Chairman of the National Association of Commercial Finance Brokers (NACFB), concluded that today's news meant to UK was facing a period of considerable uncertainty. "The political events of the past 24 hours have the potential to shape the UK business landscape for many years to come. It's just impossible to know whether it will be for better or for worse. "What we shouldn't forget is that the economy is robust and employment levels high."